Rogers just announced it has sold its publishing division, including magazines, digital publications and custom content business, to St. Joseph Communications, the owner of Toronto Life and other magazines. The deal is expected to close in April but no financial information was announced. St. Joseph says it will keep all current employees. It’s been known for a while that Rogers has been trying to offload its magazines to focus on broadcasting and telecom. The big question was who was going to buy it. A sale was reportedly in the works last fall to Graeme Roustan, owner of The Hockey News, but that deal fell apart. There was also reportedly a proposal by employees of the division to buy it, but Rogers did not seem to like that idea. The deal includes Maclean’s, Chatelaine (English and French), Today’s Parent and HELLO! Canada, plus the “digital publications” Flare and Canadian Business. It does not include MoneySense (the Roustan deal also excluded that website, and it was sold to another buyer) nor anything Sportsnet-branded. The 200 cuts announced in January at Rogers Media finally trickled down to the local level yesterday, and the company confirmed to me that Wilder Weir is one of them. Weir, who pulled double duty as the “Live Eye” host on Breakfast Television and the host of weekly sports show Sportsnet Central Montreal, is “no longer with the company,” as corporate PR puts it. 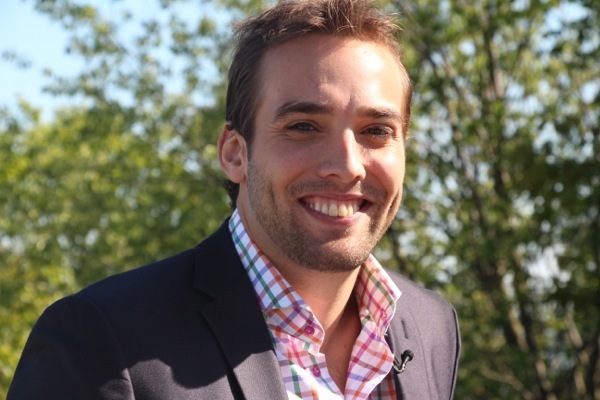 Elias Makos, who does social media for Breakfast Television, will continue as host of Sportsnet Central Montreal, in addition to co-hosting Breakfast Television with Derick Fage while Joanne Vrakas is on maternity leave. “Yesterday, some changes were made at Rogers Media that will help position the business for continued success and growth” is how Rogers PR’s Andrea Goldstein explained the decision. Weir hasn’t posted anything on social media about his departure. He declined to comment when asked about it. Weir was one of the first faces of City Montreal, hired in 2013 along with Alyson Lozoff to host the weekly sports show. (Lozoff lasted less than a year.) Among the seven day-one personalities at City Montreal’s two in-house local shows, three have since left and two more are on maternity leave.